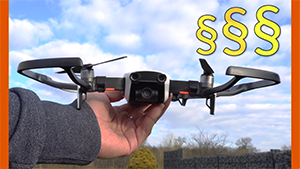 Dji Phantom 3 Quadro – more cameras – more fun! Right after its famouse Phantom 2 Vision and Phantom 2 hobby quadrocopters, Dji Innovations released the brandnew Phantom 3 Quadro. The Phantom 3 Quadro will have a flight time of up to 45 minutes and has an integrated feature, allowing to create perfect 360° panoramic wide images and landscape photos. Even a multi-function remote control is included (Watch the DJI Online-Store). The Dji Phantom 3 is a further development of the well known Dji Phantom 2 VISION – one of the most successful hobby quadrocopters currently available. But with the brandnew Phantom 3 Dji Innovations follows a complete new mindset by combining four copter chassis together to achive a maximum of redundancy and reliability. Even the stability is increased and the flight time could be extended on up to 45 minutes on pure flight time and fun! In basic, this new copter a multicopter but with a complete new geometry. Because of its 12 rotors, it is called dodeca-copter (Greek – δώδεκα = twelve). 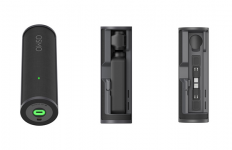 This system consists of four independant Dji inteligent batteries (4x 5200mAh 3S Batteries) and also four independant IMUs and Naza-M V3 Quadcore flight controllers. The Phantom 3 Quadro owns four high resolution FC600 cameras with integrated panoramic functionality. Each camera covers its own panoramic angel and view with different directions. So by doing only one shot with the DJI Phantom 3 Quadro-App, in less than 2 seconds a seemless perfect panoramic photo (360°) can be created. 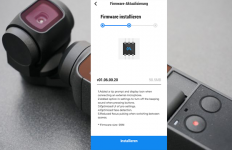 The brandnew 3-axis gimbal seems to have the identical look of the former FC200 camera, but allows corrections in all three dimensions to achive perfect footage. The landing gear does not influence the view angel: due to an automatic image processing function, the landing legs are removed from all images automatically. 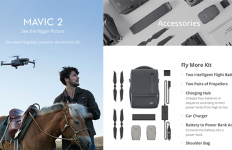 With the new integrated remote control, the dodecacopter hovers by itselv to allow perfect photos. Via the Splitscreen-Function, all four images and directions can be displayed at the integrated FPV-Monitor or at an external FPV-goggle. Real time data transmission to mobile devices will also be possible. The new RC does not have steering levers – it more likely has a steering gamepad with all necessary functions. 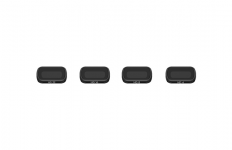 Most advanced feature is the new MUTE function – allowing to put the copter into a silent mode. But flying in silent mode redures the flight time to only 10 minutes. For perfect video footage without any propeller / rotor noises, the MUTE function can even turn off the rotors during flight. But in that mode, flight time will be reduced even further. Thanks to the synchronized flight controller and the easy to use flight remote no more Flyaways or user errors should occure. The DJI Phantom 3 Quadro will be available in a special promotion package during april: Only 399$ with all four cameras, 4 batteries and the remote control. 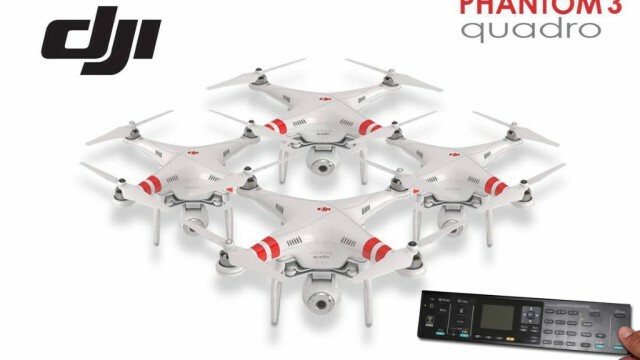 This price and all the increadable new features will lead most of the Phantom 2 or Phantom 2 VISION users to think about upgrading ther quadcopters. 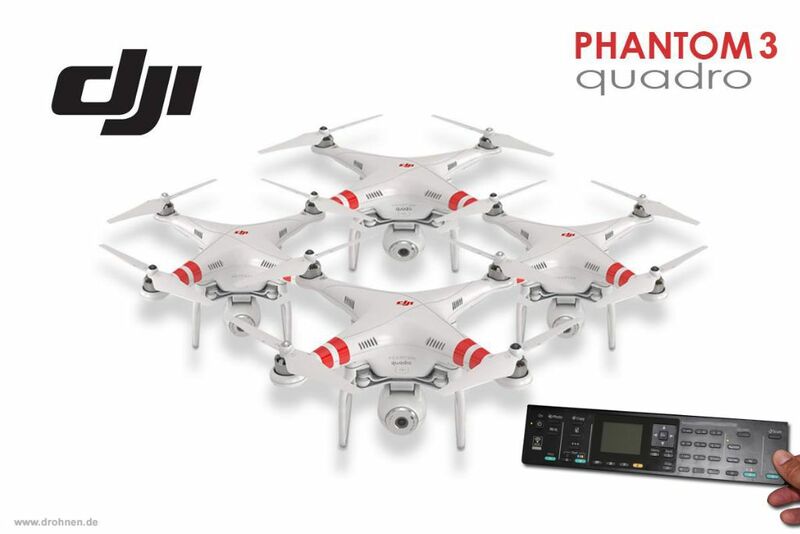 For these existic customers, a special upgrade deal will be available – so you can upgrade your existing Phantom 2 VISION by purchasing just 3 more Phantom 2 VISION and the Phantom 3 quadro connection kit – which connects 4 Phantom 2 VISIONS together which makes this system to a fully functional Phantom 3 Quadro. More information can be found in the Dji Phantom 3 Forum! 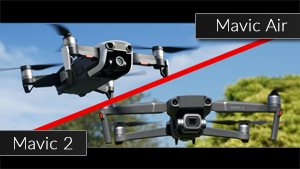 Drohnen.de > Drohnen-News > Neue Drohnen-Modelle 2019 > Dji Phantom 3 Quadro – more cameras – more fun!